Thanks – We have received your enquiry and will get back to you shortly. 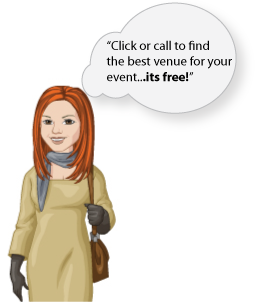 Your FREE Global Venue Search Company for large and medium events plus smaller residential meetings of any size. We work with PA’s, VA’s, Event Managers, Trainers and many other clients who enjoy our award winning booking service. Verity Venue from Deaville&Co are independent and not linked to any hotel chain therefore remains totally impartial. We can source your corporate venue hire in all the major UK cities, London, Manchester, Birmingham, Edinburgh, Cardiff as well as many country retreats and central locations. We also book overseas and welcome global enquiries.